AKV Berlin, Alexis Zavialoff, Archive Books, Ausdruck Books, Cezary Bodzianowski, Christopher L G Hill, David Horvitz, Dexter Sinister, Dynasty Zine, Éditions FP&CF, Institute of Social Hypocrisy, Jesper Fabricius/Space Poetry, JSBJ, Kingsboro Press, KLTB, Morava, Motto Distribution, Paraguay Press, Piktogram, Pinups, Rick Myers, Slavs and Tatars, TTC, etc. 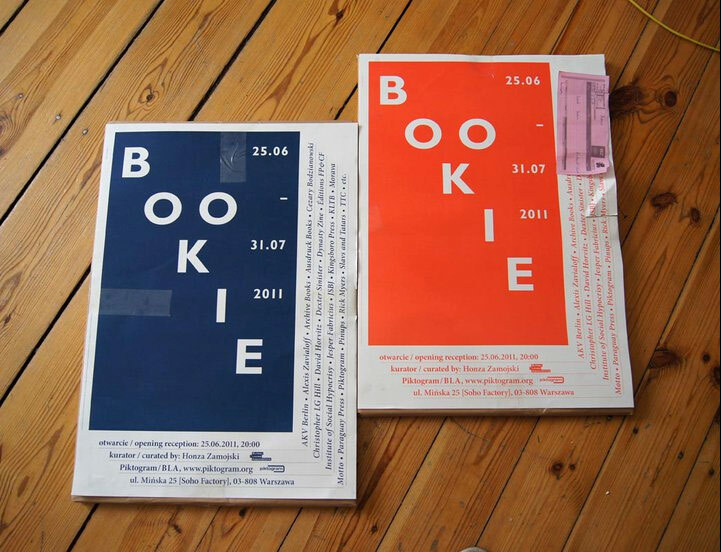 Exhibition/bookstore curated by Honza Zamojski. This entry was posted	on Monday, June 20th, 2011 at 11:47 pm	and is filed under art, books, events. You can follow any responses to this entry through the RSS 2.0 feed.